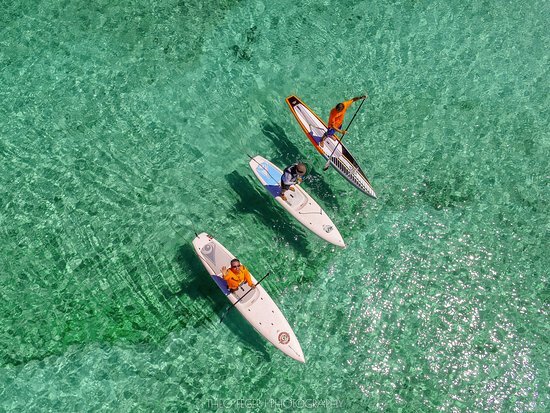 There are many ways to enjoy being on a water with your stand up paddle board. Do you know them all? Occasional practice individually or paddling with a group of friends or family, while being next to different types of water. You can practice stand up paddle on flat water (lakes, rivers) or enclosed waters like sea, harbors, marinas, lagoons. This is a great way of spending time together on water with additional benefit – fitness workout. Children all age can join their parents in paddling experience. Boards also provide a lot of joy to children when taken to the beach for their entertainment. Nature lovers will recognize stand up paddle boarding as a great way to experience water environment. Tours in natural environment are great opportunity to watch wild nature. With no impact to environment you can practice long distance paddling even in national parks admiring the surroundings. Touring on stand up paddle is a great way to also explore the coastline. Seeking some adrenaline and opportunity to compete with others? Join stand up paddle racing to experience speed and sports atmosphere. Professional stand up paddle races are organized in various water environment: starting from mountain rivers finishing with open sea. Join the tribe of adrenaline junkies. When feeling like a surfer starting his day by catching the waves, stand up paddle board can be used also for SUP surfing. Riding waves with a paddle gives a great opportunity to catch them all, while other surfers are waiting for the perfect one. Paddle is very helpful in maneuvering the board and getting some speed to make any wave yours. Yoga practice on stand up paddle boards is an amazing experience. It provides both contact with nature and your own body. Doing Asana on a floating board on water is challenging but brings more self-consciousness and great sense of balance. How to choose a board? When you don’t want to rent it anymore, when you want to have your own board always available for your use, you should ask yourself an even more relevant question: “how do I want to use my board?” It is then worth stressing the advantages of inflatable boards. They are much more affordable than hard ones and they do not take a lot of storage space as deflated they fit into standard backpack and can be easily stored when not used. Also with a good value for money you do not have to stop yourself after buying one model, either getting another one for you for a different use or for your relative to go and share your experience. Here come our recommendations for board types accommodating the preference of usage. For recreational stand up paddle practice we advise to get an all-around board (Bass Breeze model in our shop). This type of board is stable enough for beginners, wide to keep the balance during first stand up paddle experience. Later this board has still a lot to offer as a first board to try to catch the waves or have fun on enclosed water when keeping balance is more challenging than on flat water. This model can be also used as addition to yacht in case you want to paddle to the shore in shallow water. It is a universal board with multiple possibilities of use, yet its advantage is the pointy nose (unique for all-around model) which makes this board fast and easy to maneuver. Another model great for recreational use and family paddling is Bass Dual. Designed for some family fun on water, it can easily carry one adult person and a child or another adult. The both sides additional stabilizing chambers provide full stability. This is also a good board for fishing or photography expeditions and finally, can also be used as rescue board thanks to its handles on sides. Cruising on a stand up paddle board were never as easy as with Bass Touring model. The board is more demanding in terms of balance, but provides nice glide on water for long distance paddling. Medium to advanced paddlers seeking for a board with some speed features will be satisfied. The long and profiled shape of this board will make long distance paddling more enjoyable. It is worth mentioning that this model is only few cm shorter than the race one (12’6″), however wider to provide more stability to paddler. Taking part in stand up paddle competitions requires an ultra fast board. The official length for boards accredited in sup races are 12’6 and 14’. We provide you with inflatable race boards in both sizes (see in our online shop here). As proven on many stand up paddle competitions they are fast, yet they provide stability to easily put a lot of strength on paddle without loosing balance. For sup surf practice you need a well almond-shaped board which can easily be operated by the movement of your hips and feet. The Bass X-Power model is a very maneuverable sup surfing board, easily taking turns. Good for occasional surfers to catch their waves everywhere all around the world as travelling with inflatable sup surfing board is super convenient (no more “oversized luggage” queue, no more “additional sport equipment” fee). Surfing board as designed by Bass was aimed to be pretty wide to glide on waves and not longer than classical longboard surf model 10’. If you have an interest in floating yoga practice you should choose a board as wide and stable as possible. We highly recommend specially designed Bass Yoga model soon in the shop or Bass Dual as it gives the experience of stable ground on water. Bass Yoga board was especially designed for Yoginis looking for zen spirit on water. Beautiful lotus flower design and the quietness of water all around brings feelings of spirituality and harmony instantly. Ce site est dédié à la pratique du Stand Up Paddle en France. Nous sommes passionnés et avec nous vous aurez accès à un réseau d’enthousiastes à travers l’Europe mais aussi en Asie et en Amérique, membre du collectif “The SUP World”. Nous respectons l’ensemble des obligations légales concernant le traitement des données (respect de la vie privée, non communication de vos informations personnelles) et les conditions de vente à distance “e-commerce”.